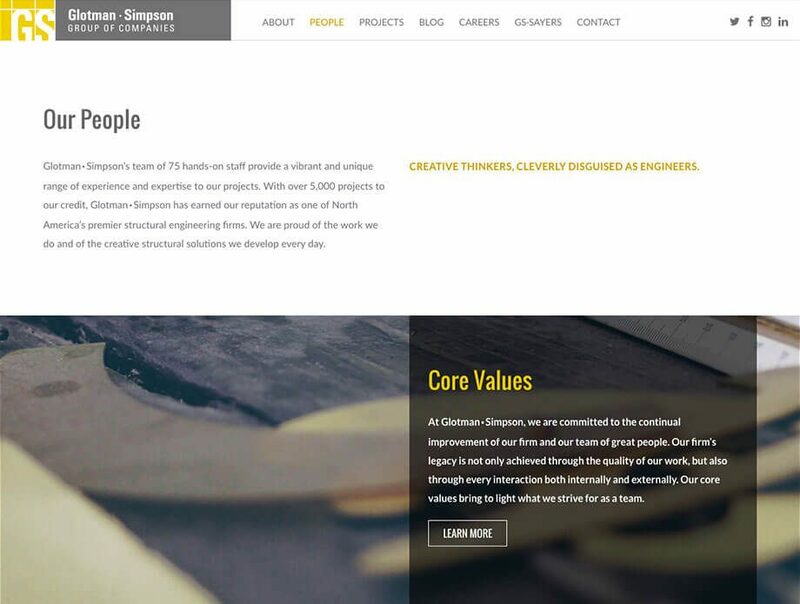 Glotman Simpson is a forward thinking team who has a large portfolio with impressive visual designs and imagery which they wanted to showcase on their new website. 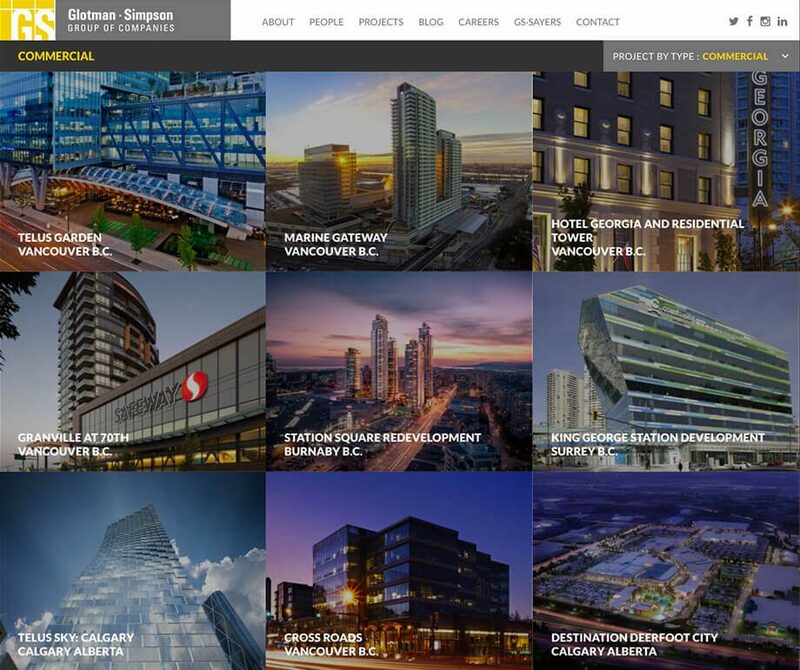 Glotman Simpson is considered one of North America’s top Structural Engineering firms. They have provided structural solutions for some of Vancouver’s most impressive buildings. Coming to us in 2015, Glotman Simpson was looking forward to build a website that focused on the scale of their work, using beautiful imagery across the website to showcase the colossal scale of their projects. 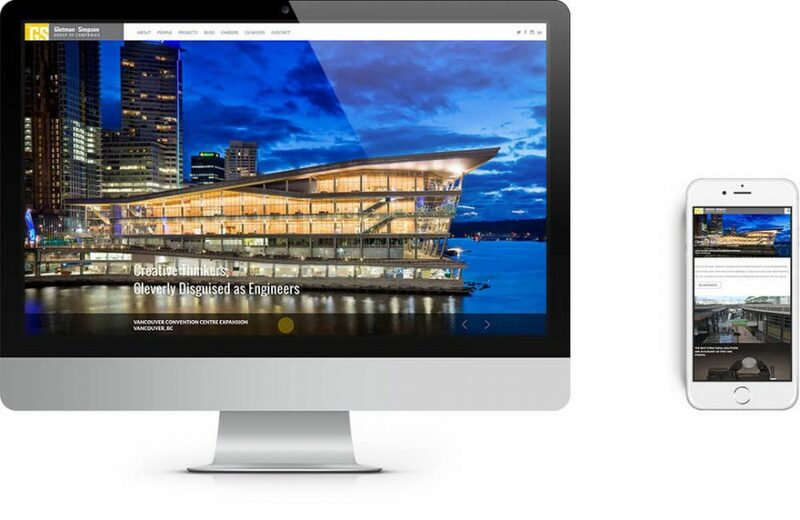 At SplitMango we were happy to work with their vision to build a website that provides their users with experiences that both wows and allows them to easy find the content they came for. From discovery to launch we continually pushed the WordPress platform and web technologies to their limits in our to bring a online experience as impressive and strong as they are. In order to correctly implement the design of Glotman Simpson’s new website our development team need carefully plan how customize and organize the large amount of projects that the company has been a part of. Utilizing the advanced features of the WordPress theme development was a key challenge we took on with this project. The finished product is a custom built solution built completely around their needs. After we customized the WordPress structure to allow for needs of Glotman Simpson, we began building out the image focused design. Glotman SImpson needed a site that felt alive, so we built animation into many interactions with the UI (User Interface). Glotman Simpson is a ever growing and evolving company, their website is built to grow with them. Not only does the project include the beautiful design you see today, but it includes a page builder built around their design and brand.